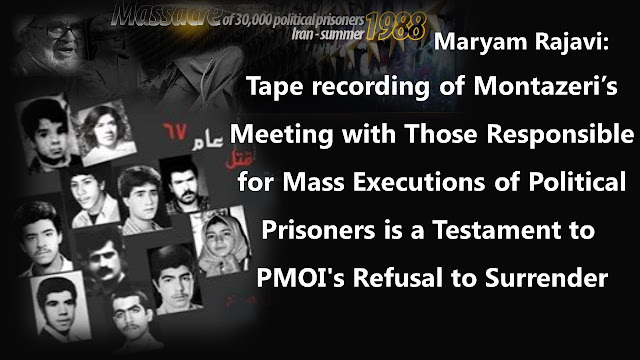 Justice-Seeking movement for massacred prisoners in 1988 is taking peaks and expanding day by day. 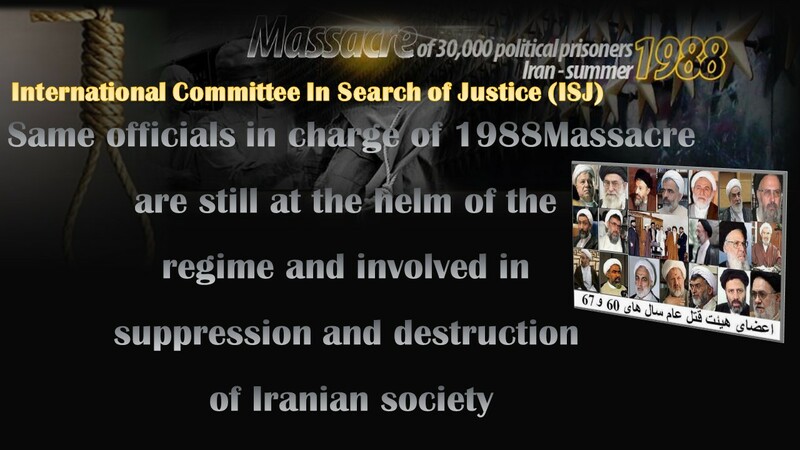 Iran: Attorney at law on the 1988 massacre: Khomeini was Imam of law or lawlessness? 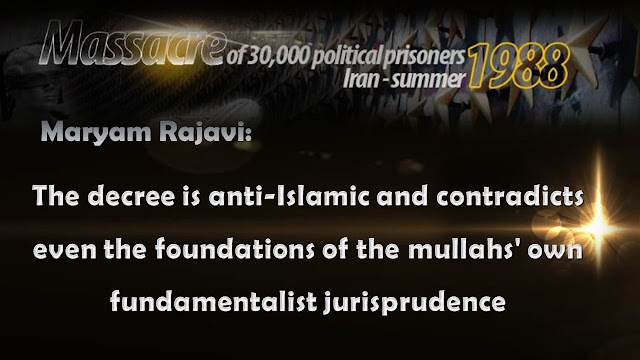 NCRI’s Elaheh Azimfar: What Europe can do for human rights in Iran? 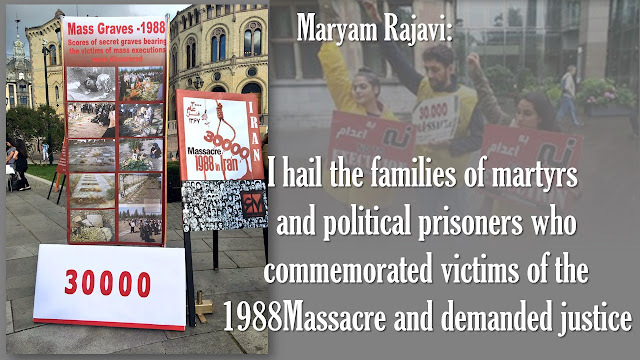 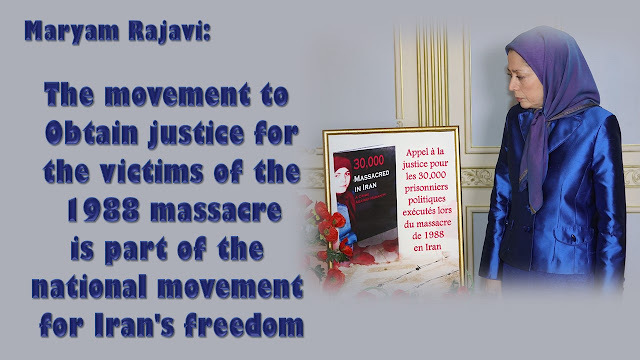 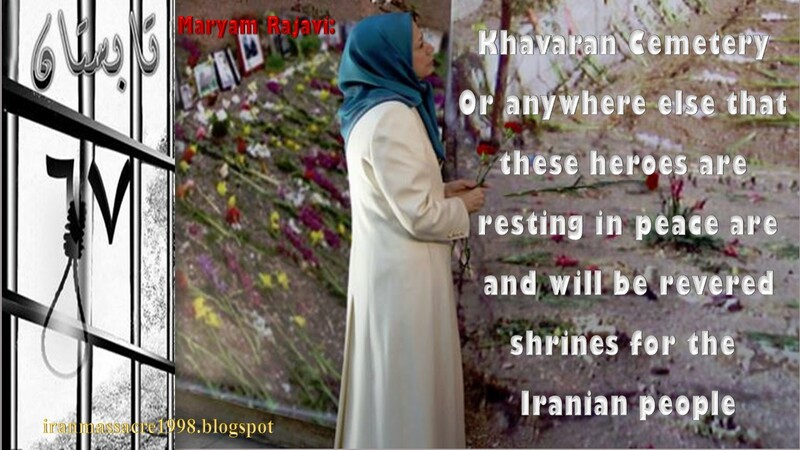 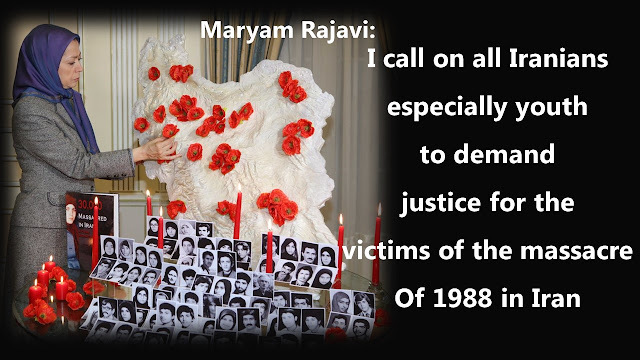 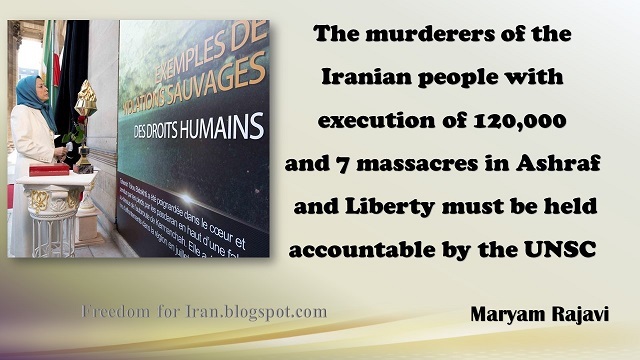 Mansoureh Behkish, a human rights activist and a relative of political prisoners massacred in 1988 in Iran, announced that she and her friends commemorated the victims of the 1988 massacre in Khavaran cemetery. 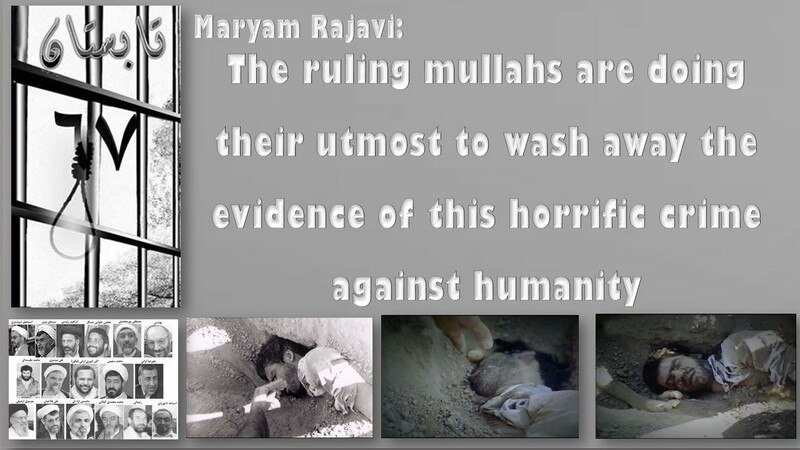 Almost 30 years past this horrible crime against humanity, Khavaran where many of the victims were buried in mass graves remains under tight control of security forces. 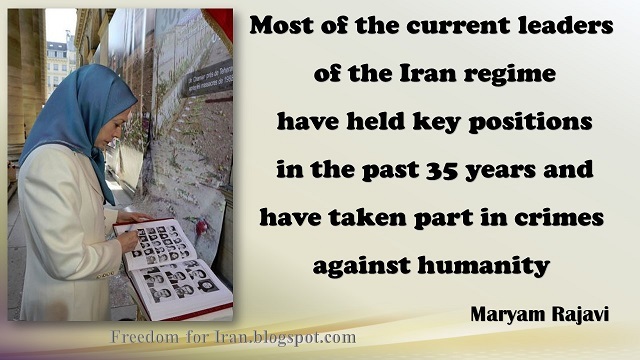 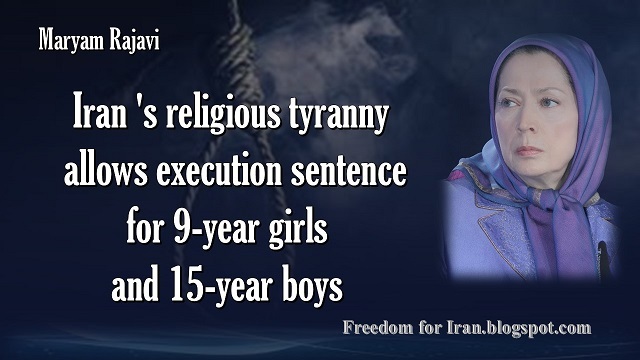 However, many families and human rights activists risk their own security to continue their annual tribute to Iran’s best children who gave their lives for freedom. 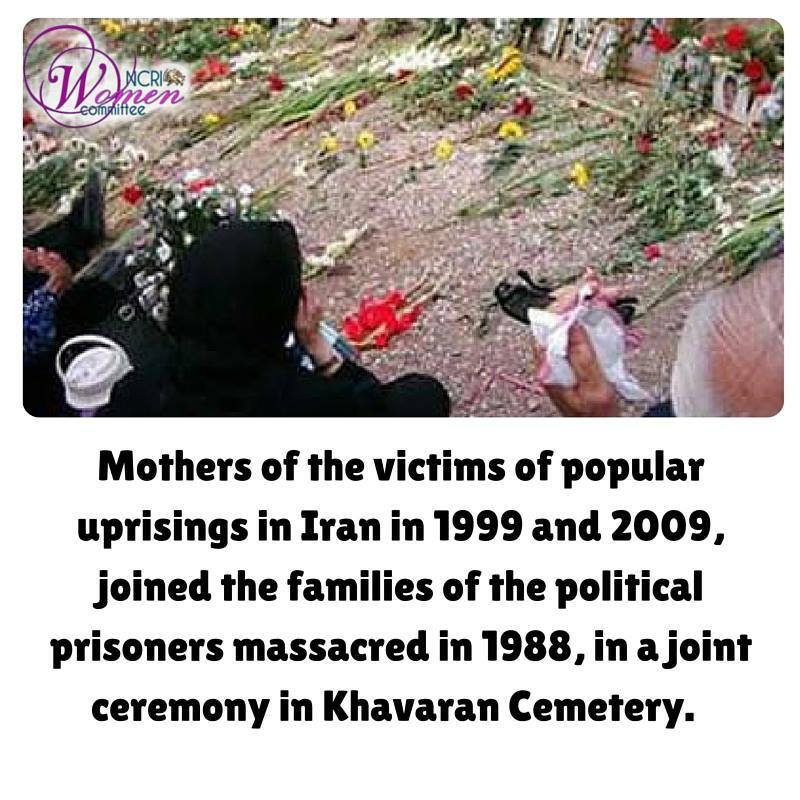 Mothers of the victims of popular uprisings in Iran in 1999 and 2009, joined the families of the political prisoners massacred in 1988, in a joint ceremony in Khavaran Cemetery. 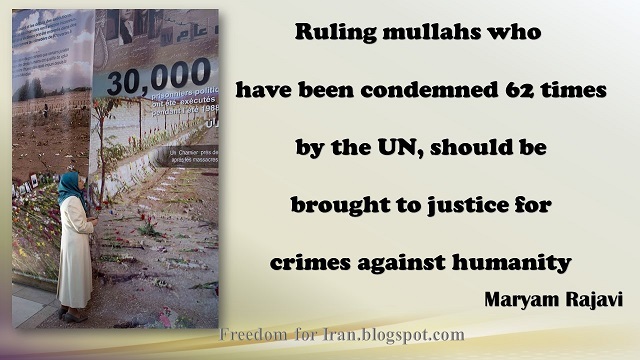 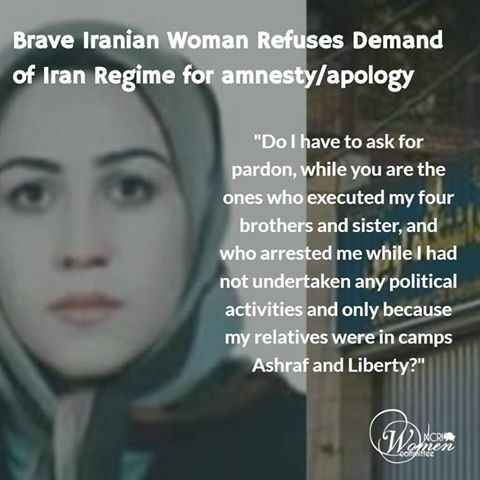 They laid flowers on the unmarked mass graves and commemorated those fallen for freedom in that cemetery tightly controlled by the Iranian regime’s security forces. 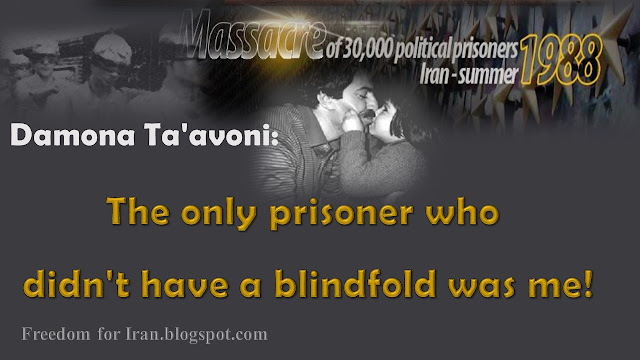 Damona Ta’avoni: The only prisoner who didn’t have a blindfold was me! The summer of 1988 is truly the darkest times in modern Iranian history. 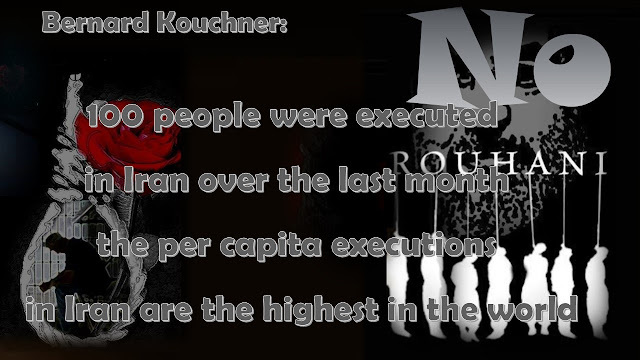 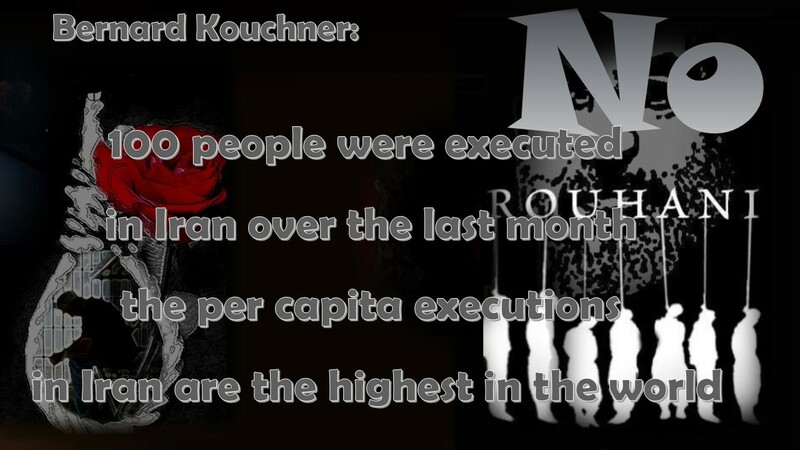 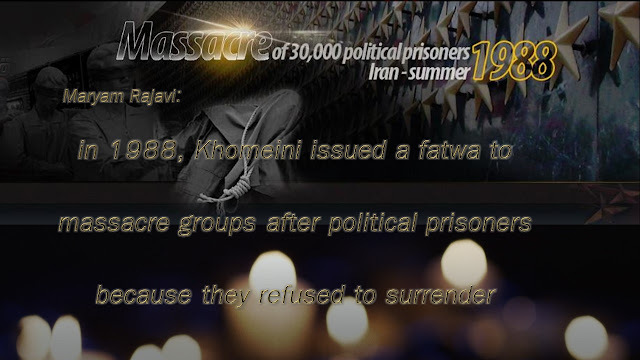 Some 30,000 political prisoners were executed under the direct and written order or Fatwa of Ayatollah Khomeini. The massacre is described as a political purge without precedent in modern Iranian history, both in terms of scope and cover up. 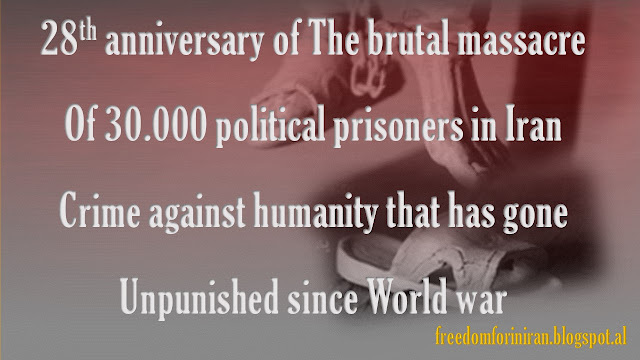 Many of the prisoners were serving their prison terms and many were near the end of their sentences and were supposed to be freed. The massacre of political prisoners lasted a few weeks and their lifeless bodies were left inside unmarked mass graves in different cities and towns. 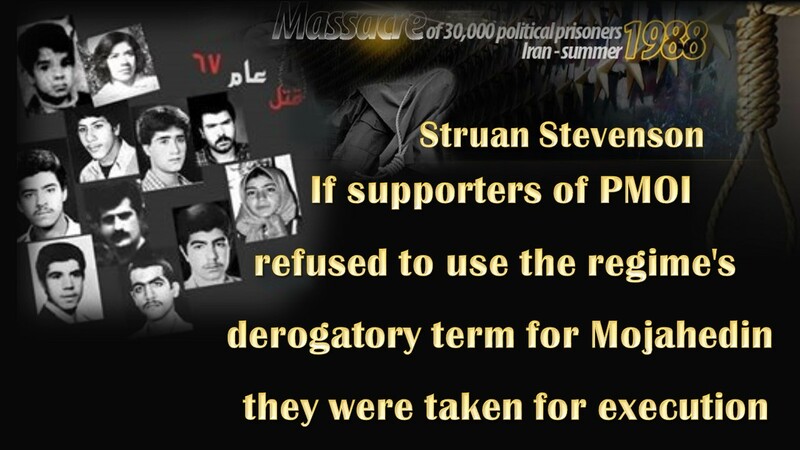 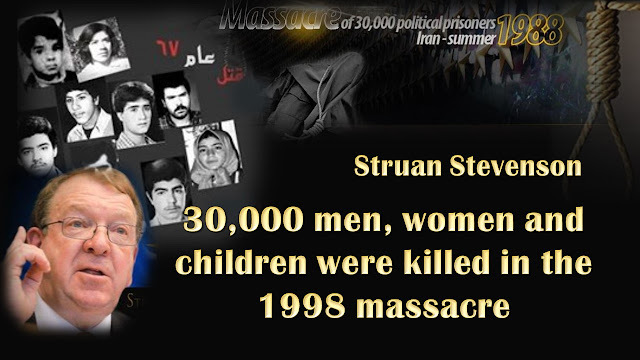 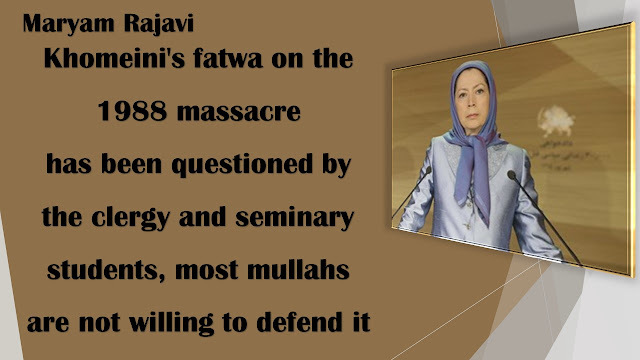 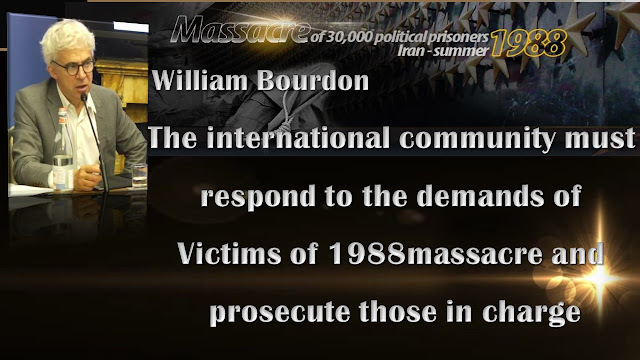 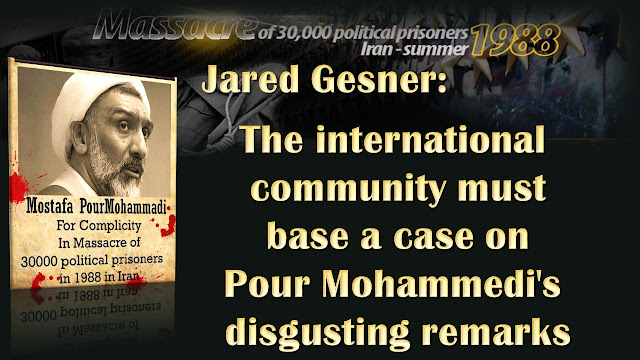 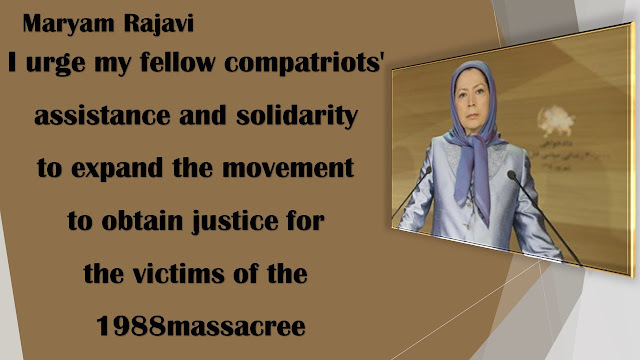 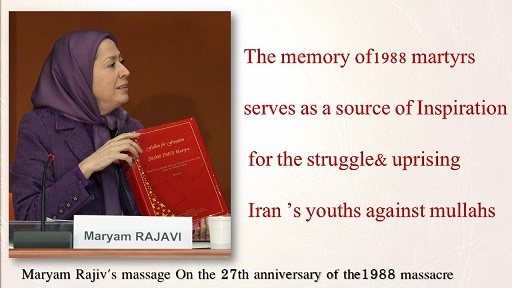 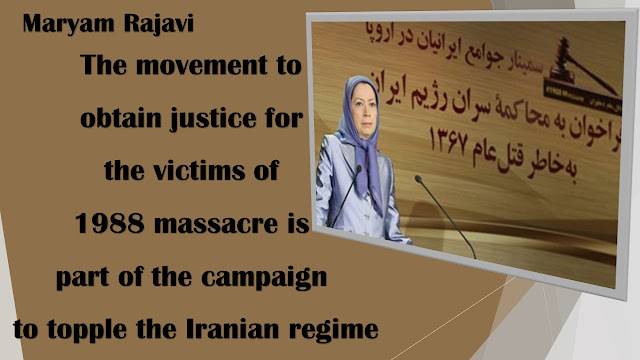 The majority of the victims belonged to the People’s Mojahedin Organization of Iran or PMOI. 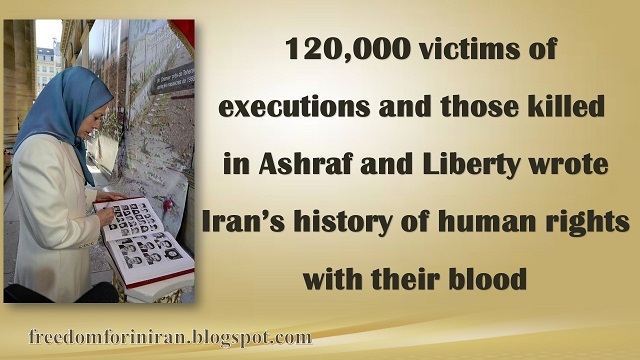 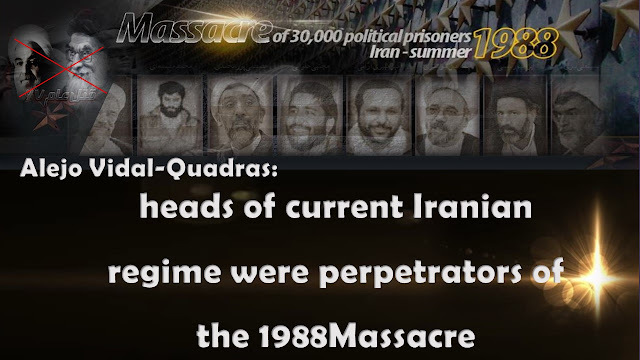 Number of individuals who belonged to lefties and other groups were also executed. 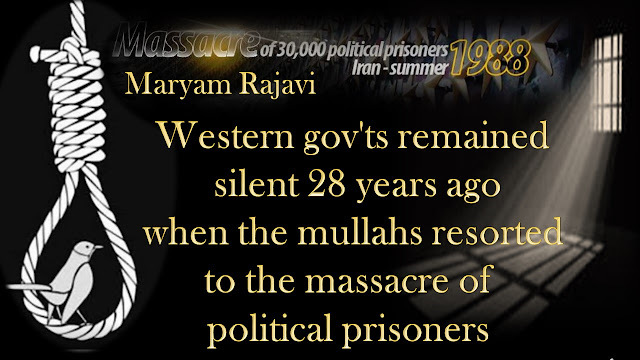 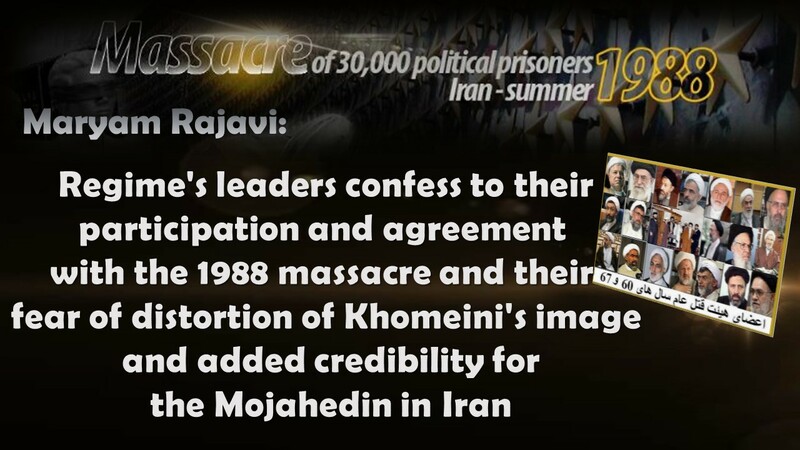 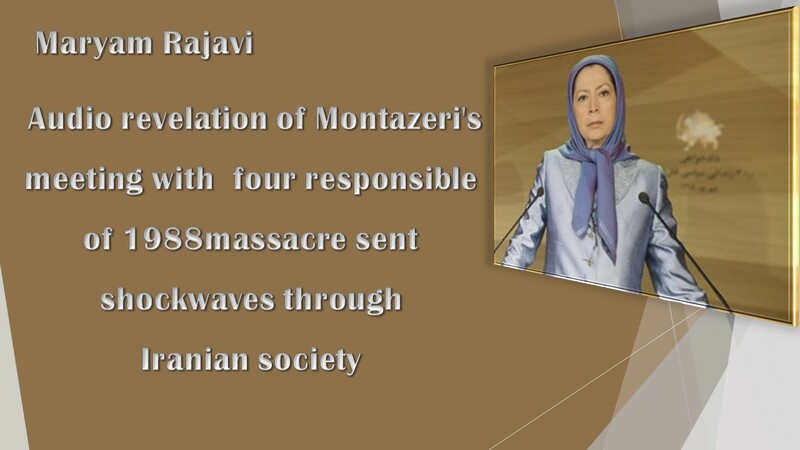 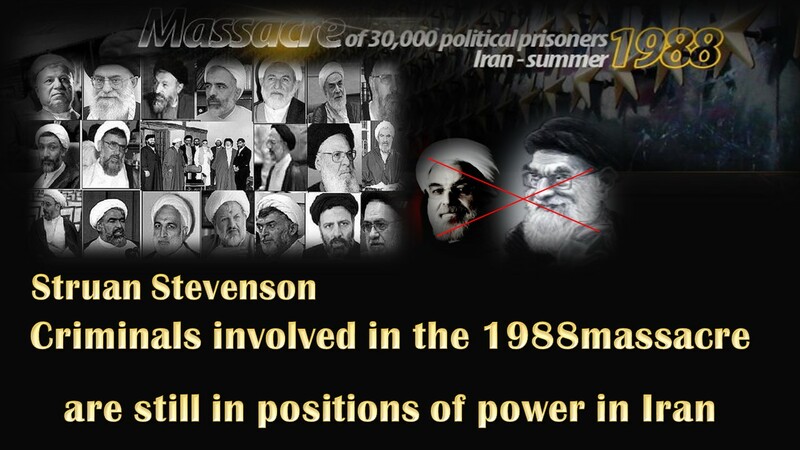 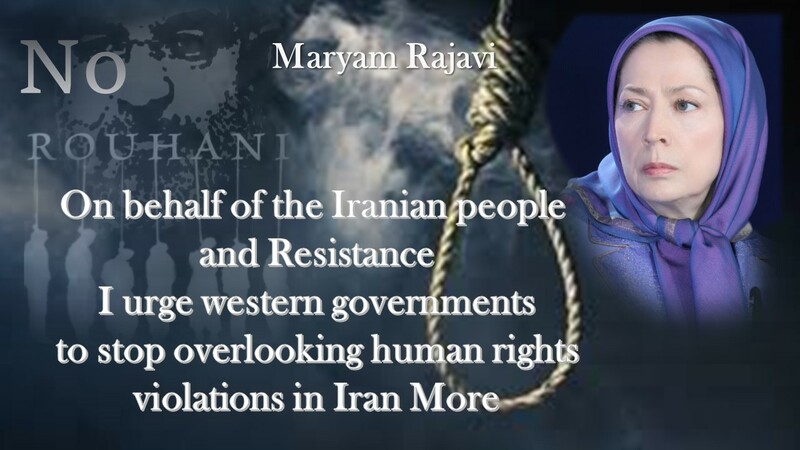 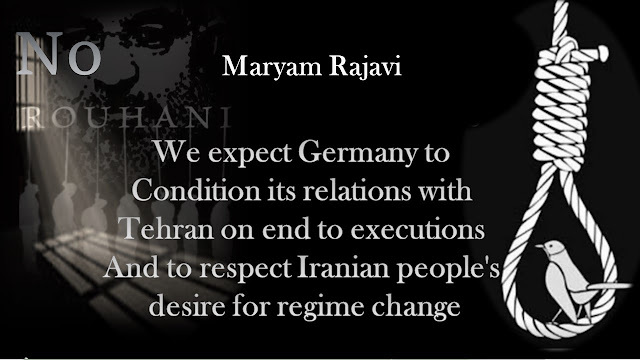 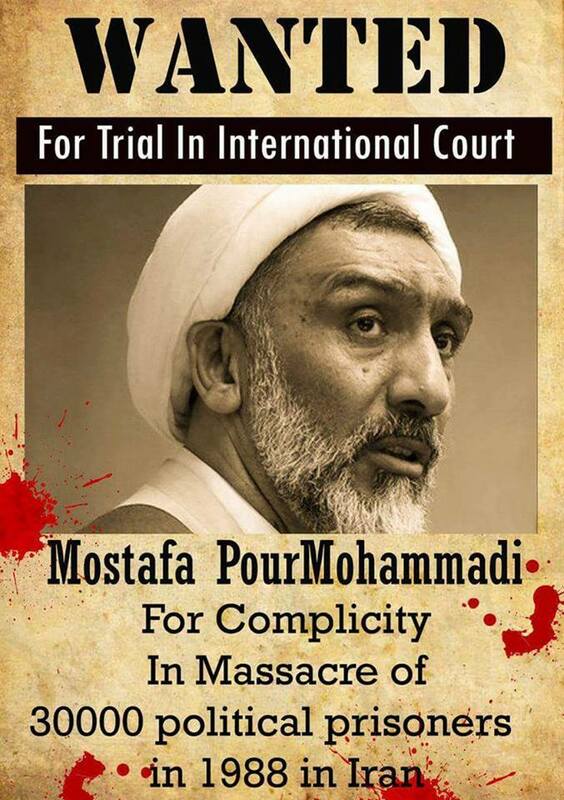 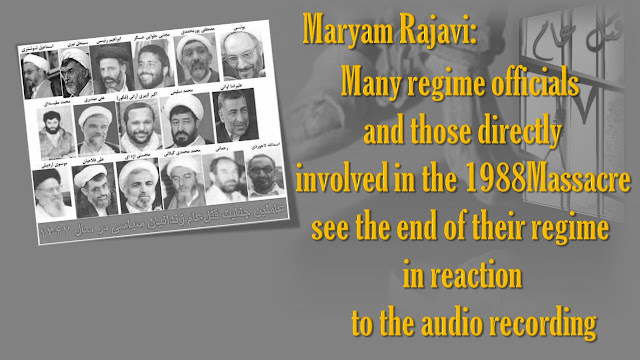 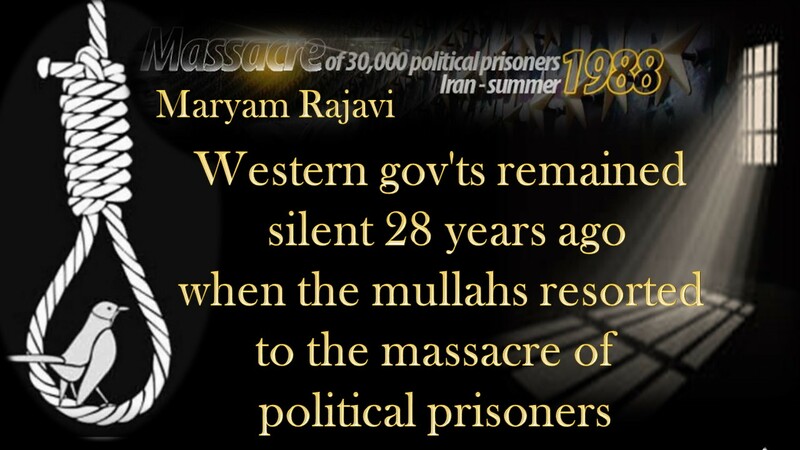 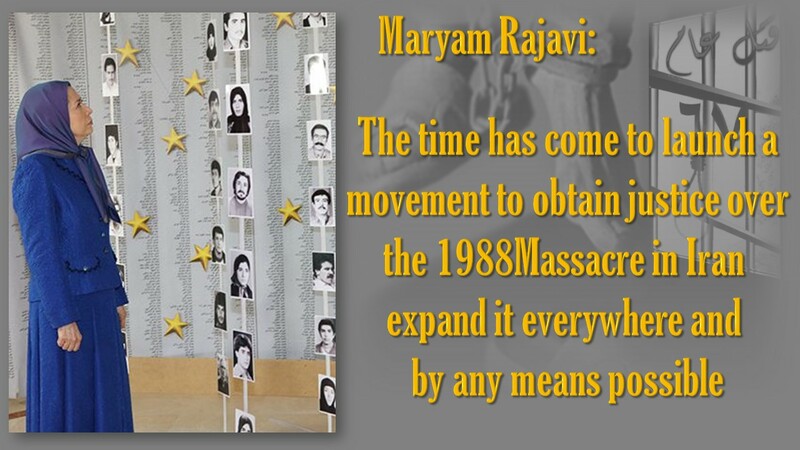 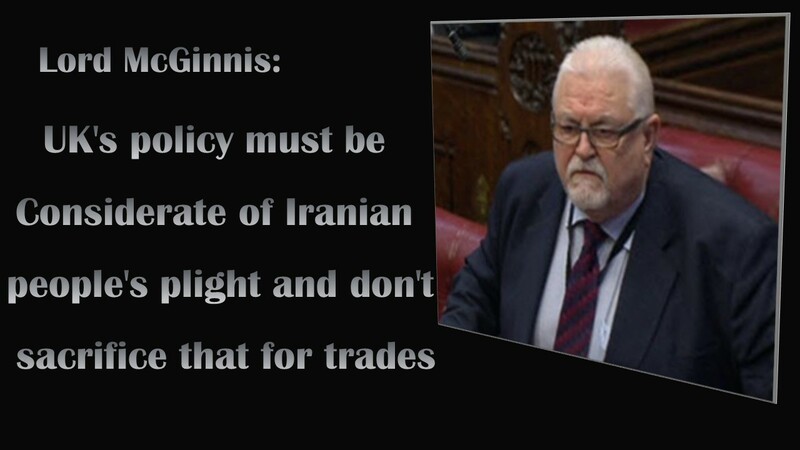 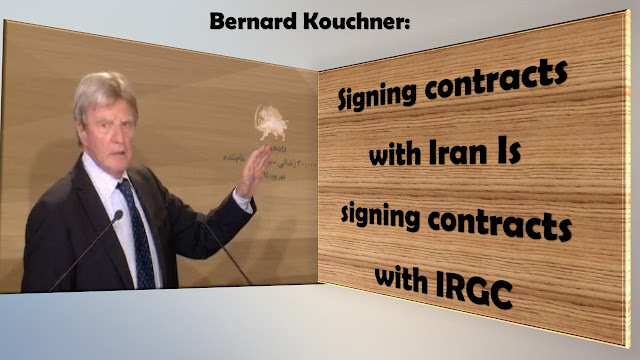 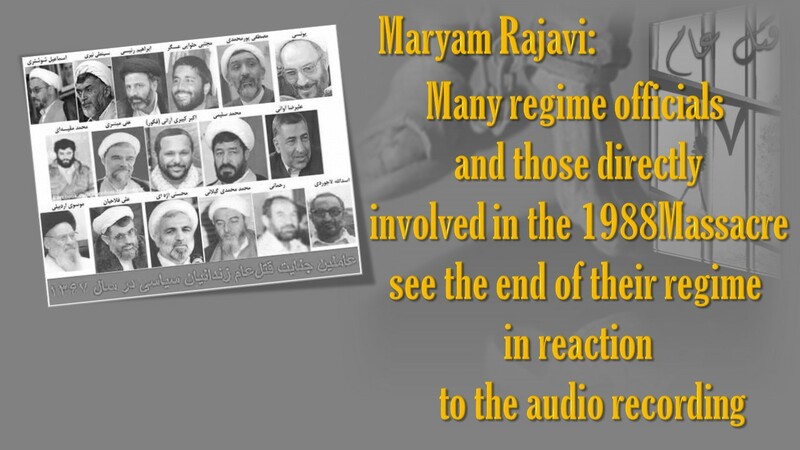 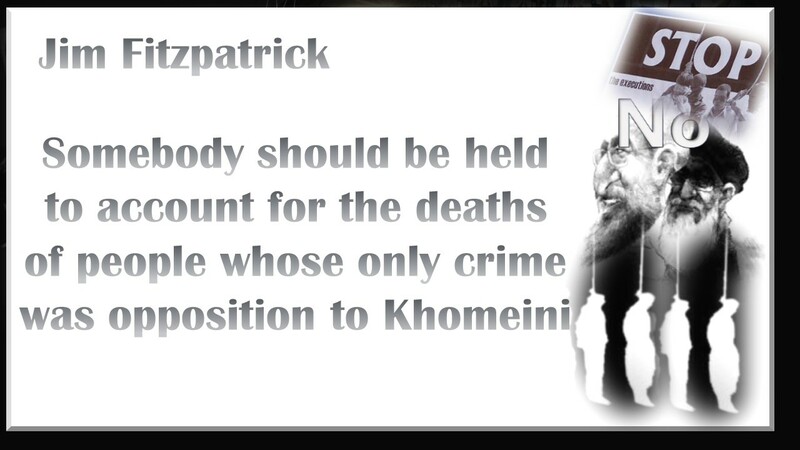 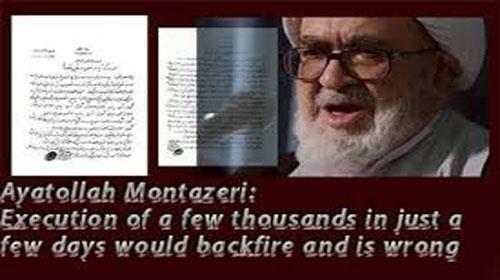 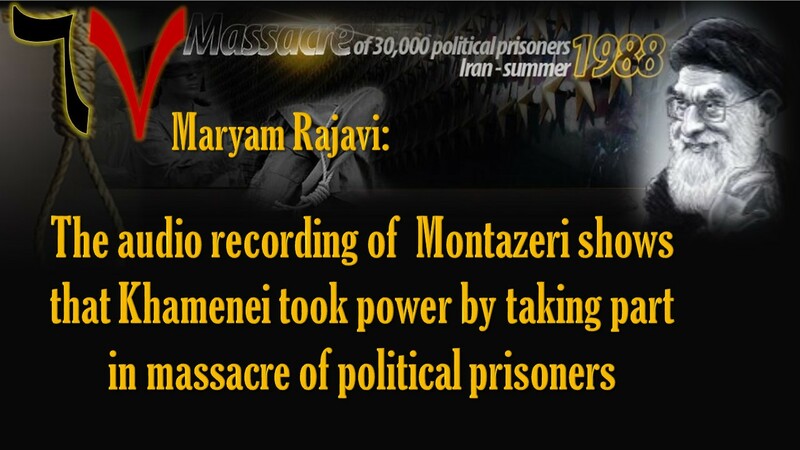 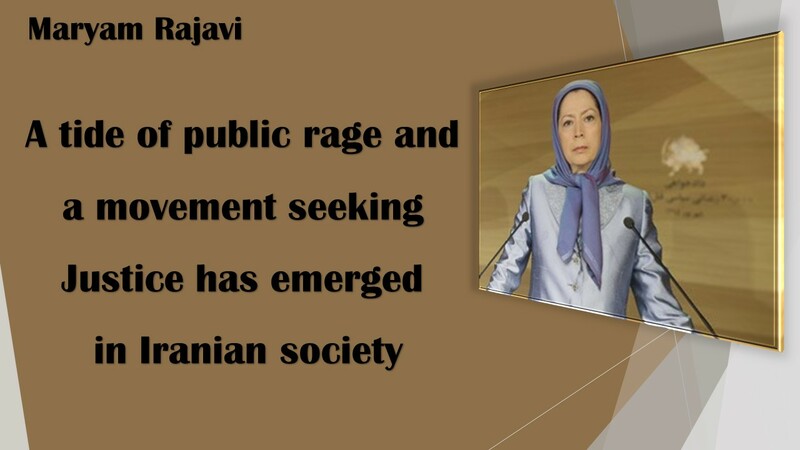 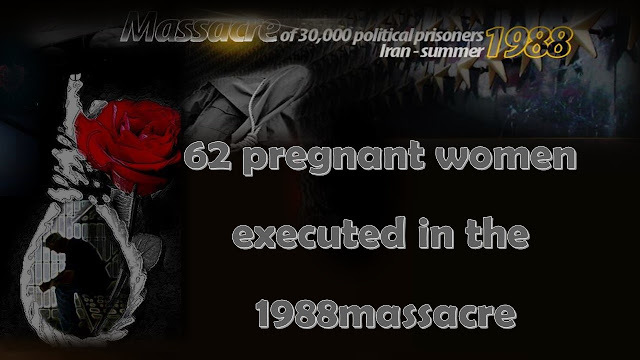 The PMOI exposed this political genocide for the first time in the same year just a few months after the massacre. 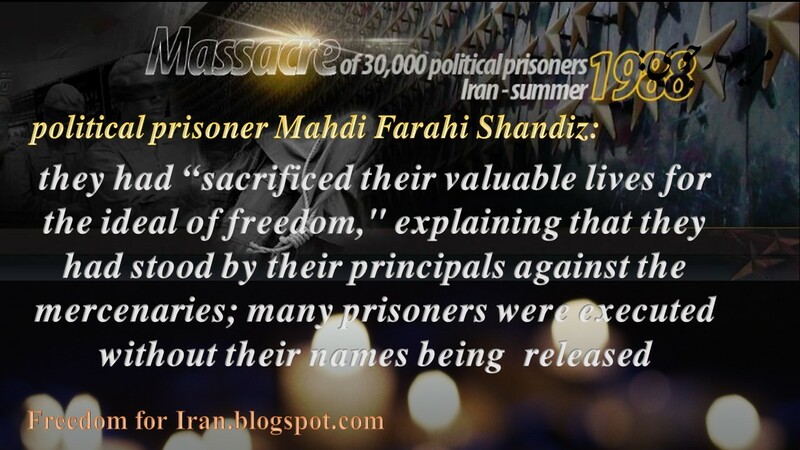 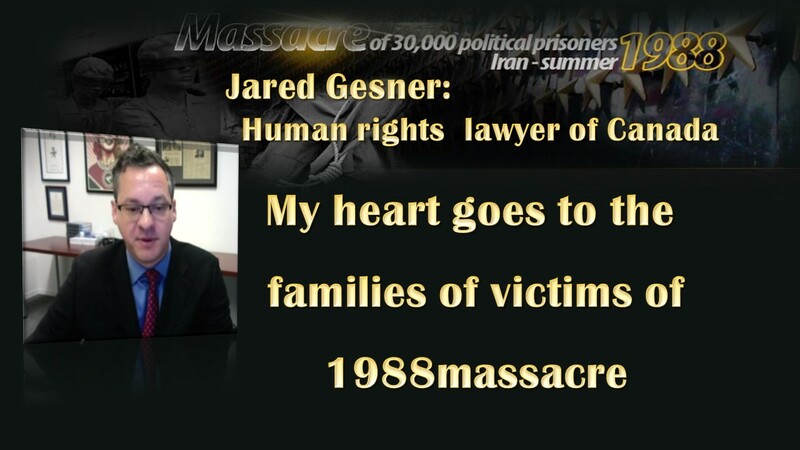 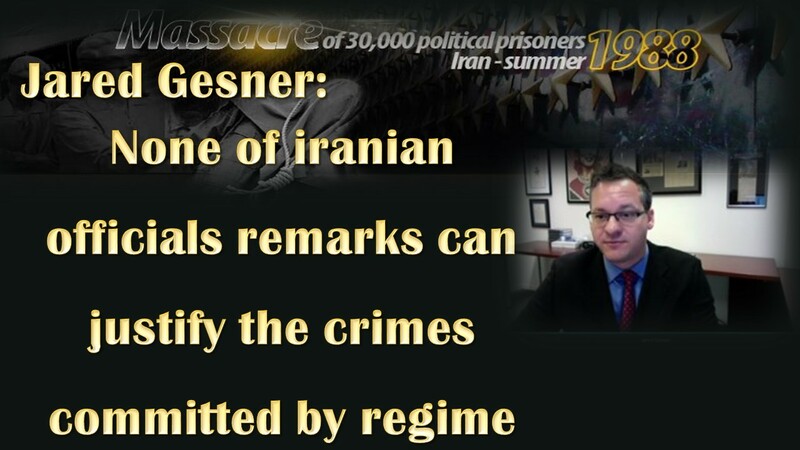 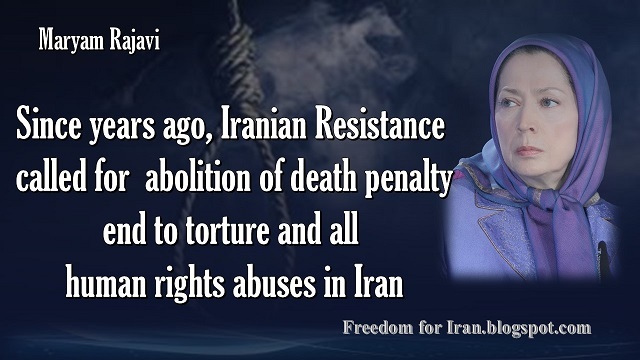 Every year the Iranian dissidents around the world commemorate those brave souls for they were taken from somebody’s parents, sister, brother, son and daughter, aunt, uncle, classmate, colleague or teacher…. 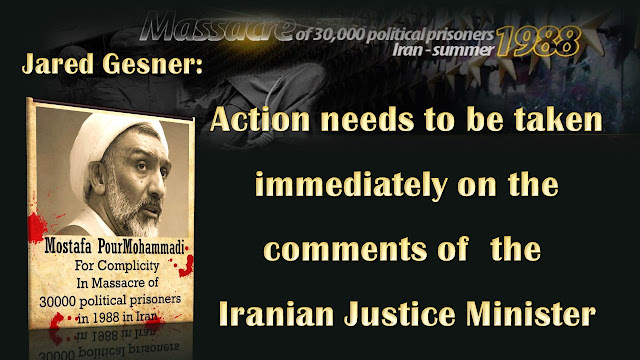 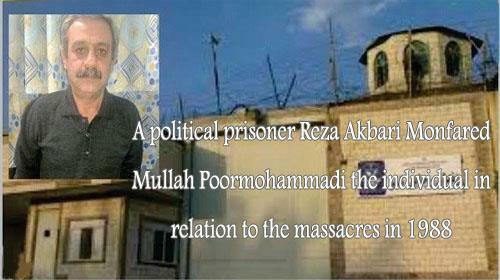 The wave of massacre of political prisoners began in late July and continued unabated for a few months. 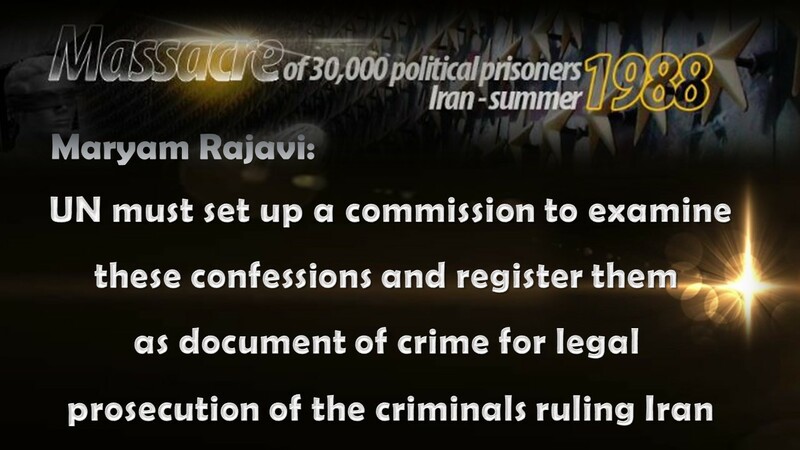 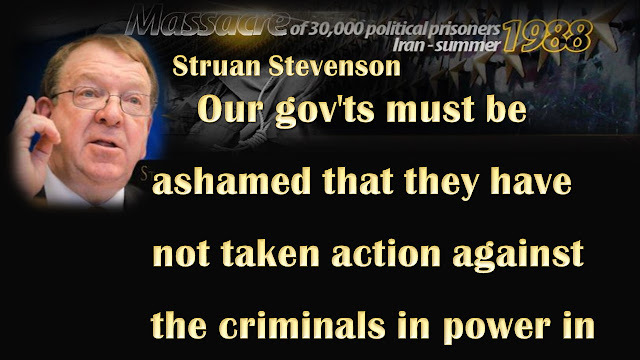 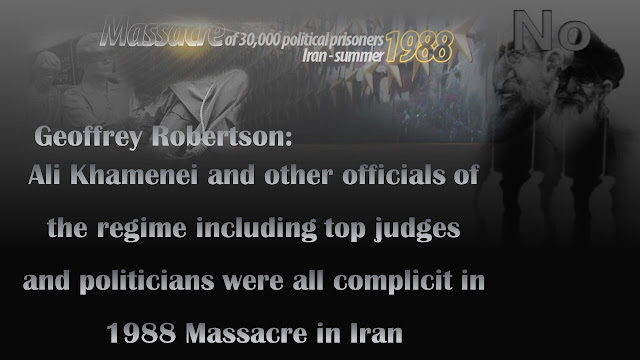 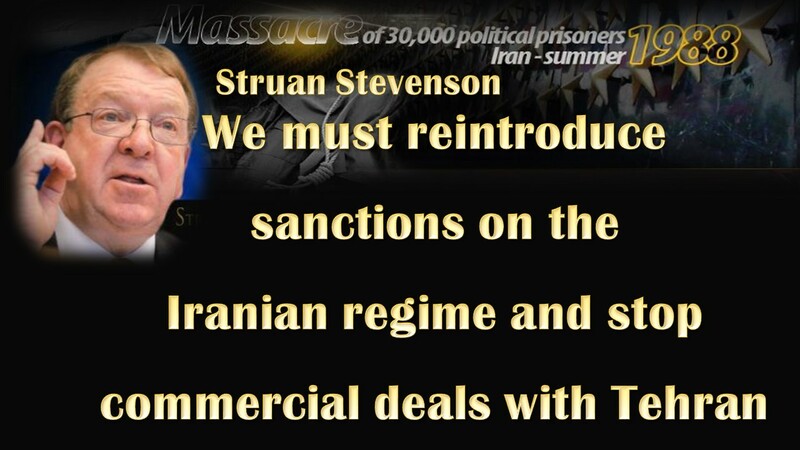 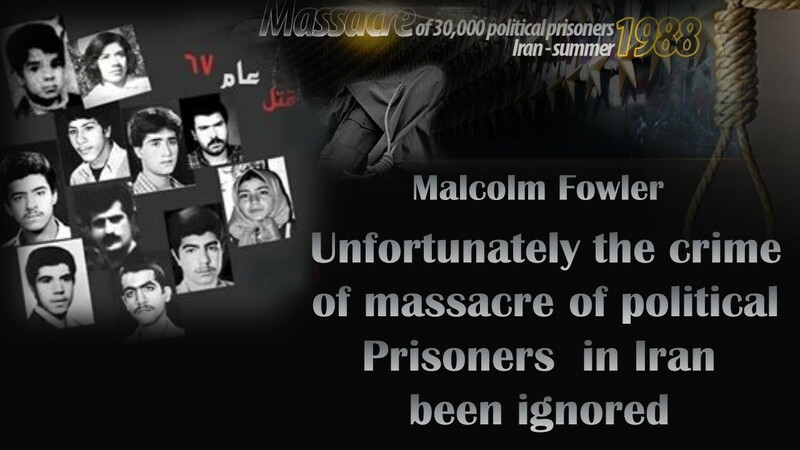 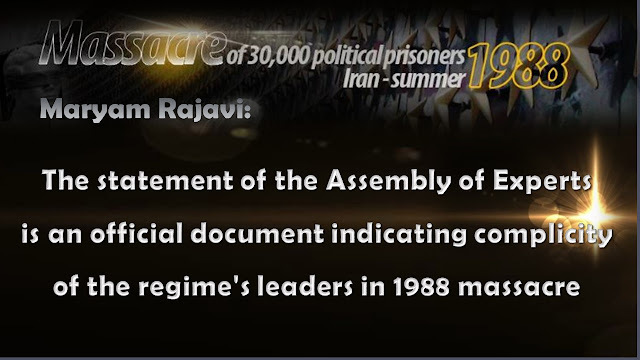 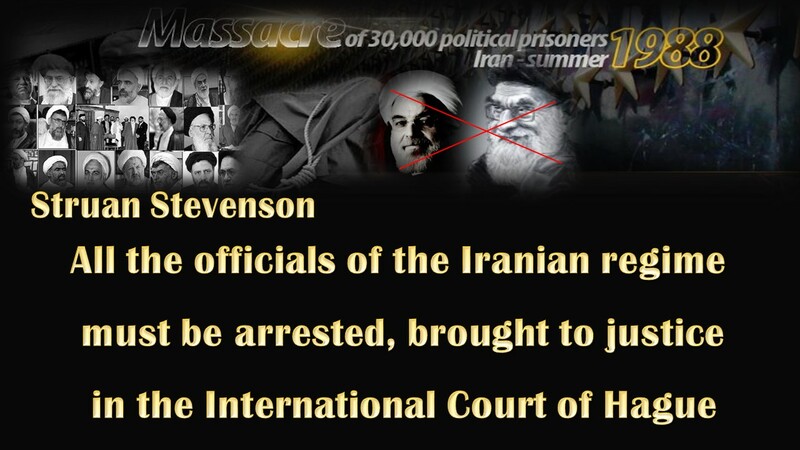 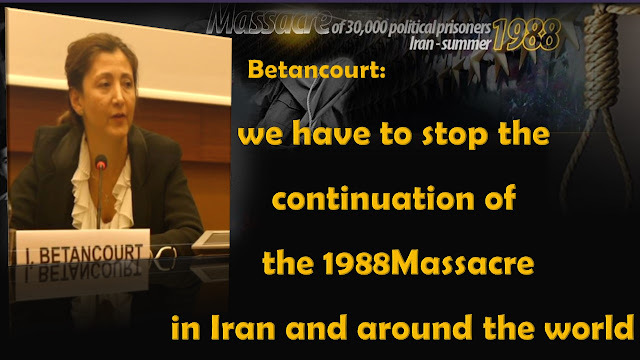 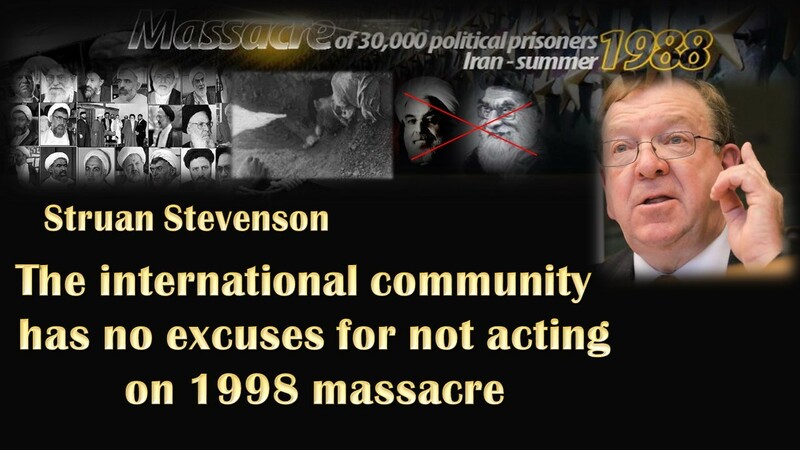 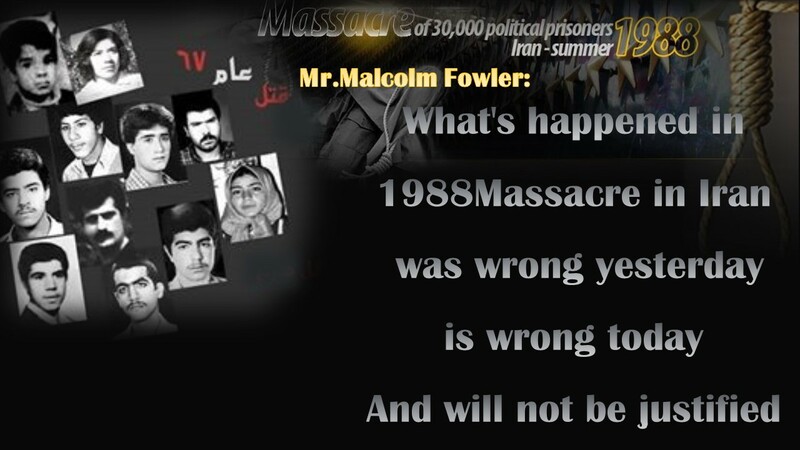 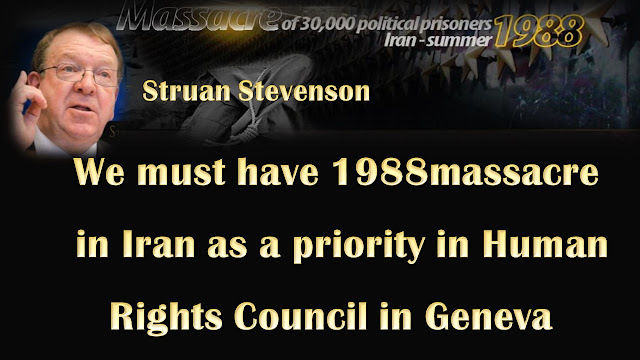 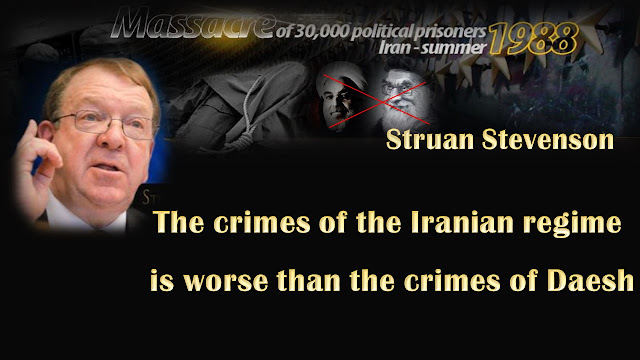 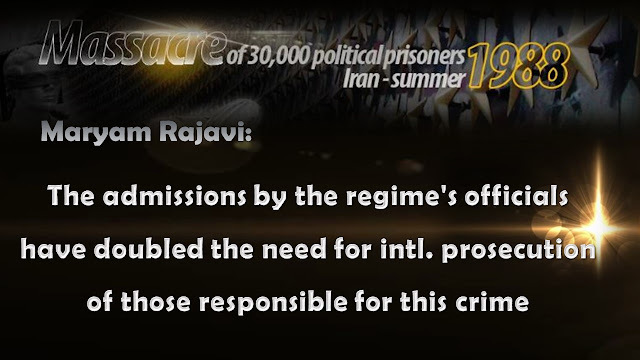 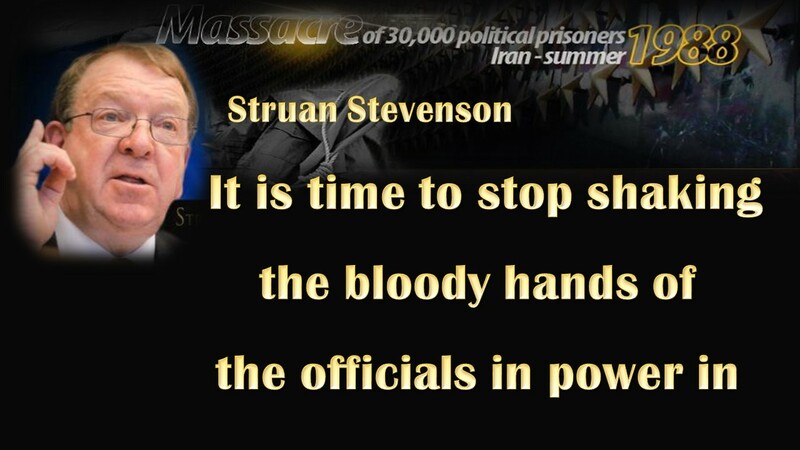 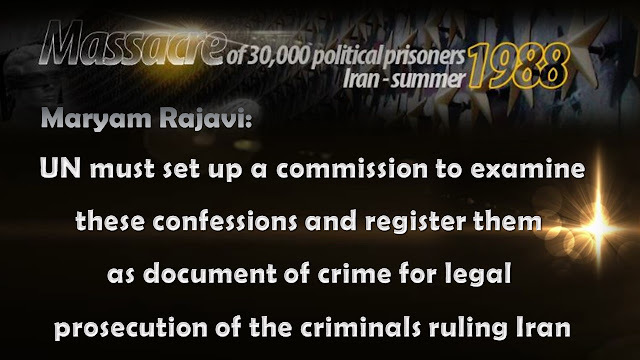 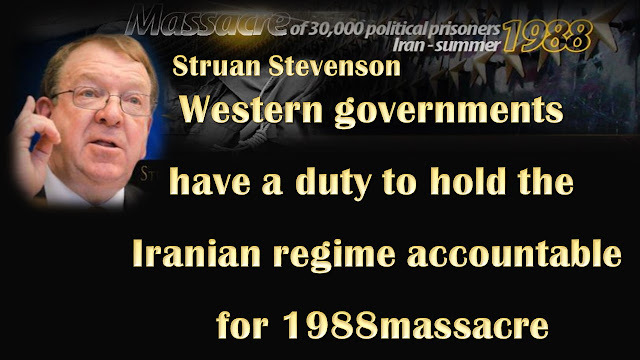 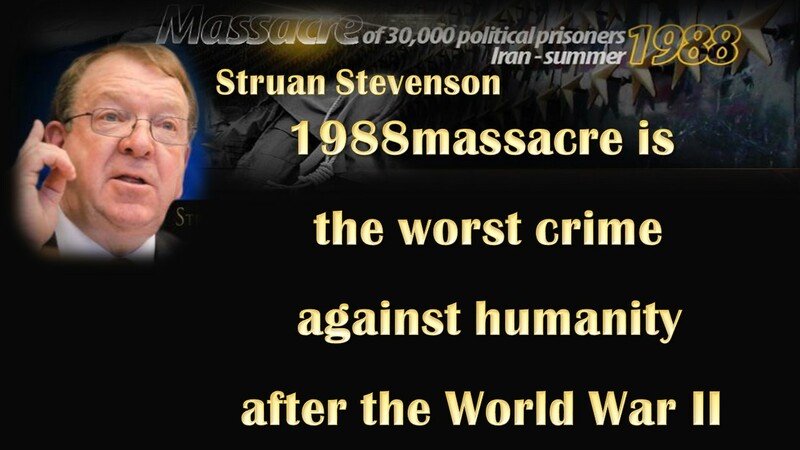 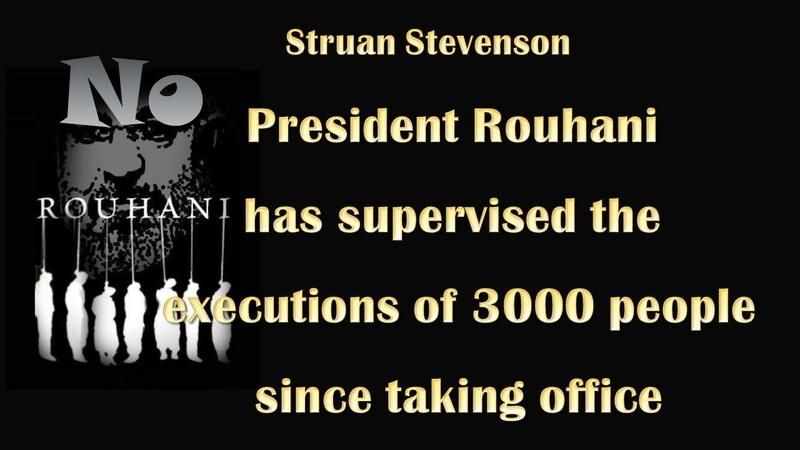 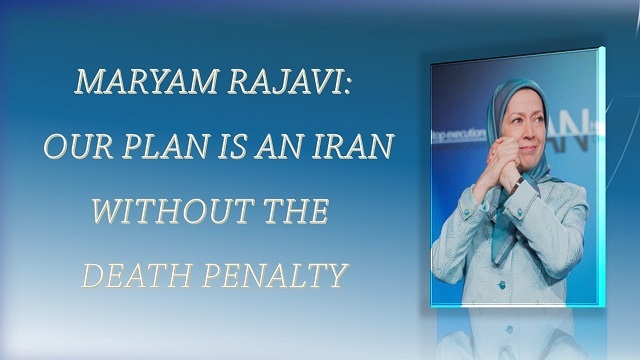 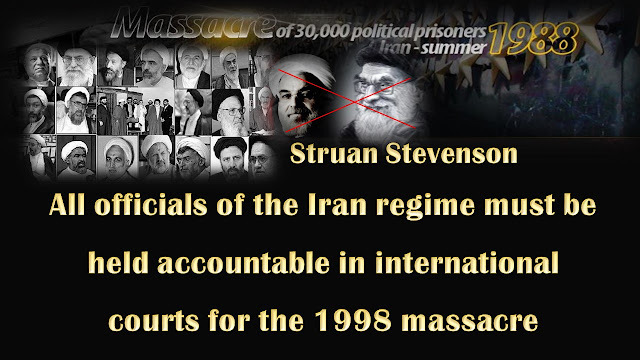 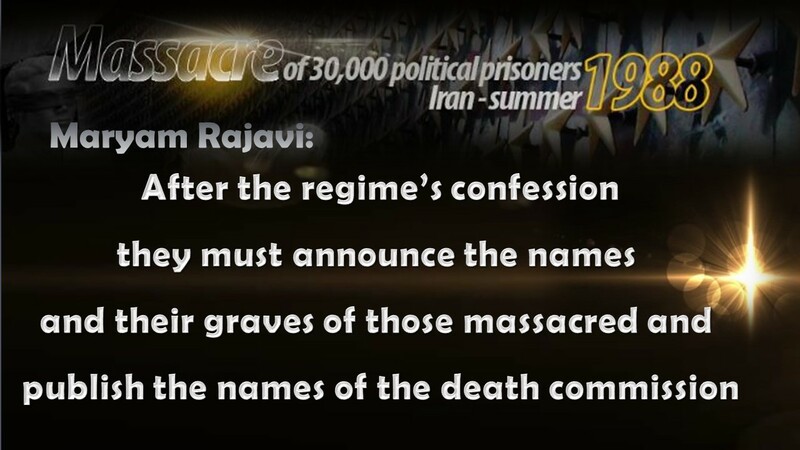 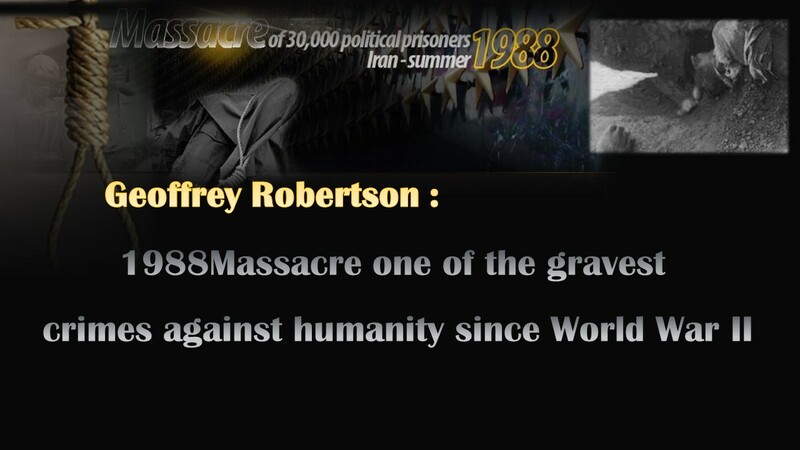 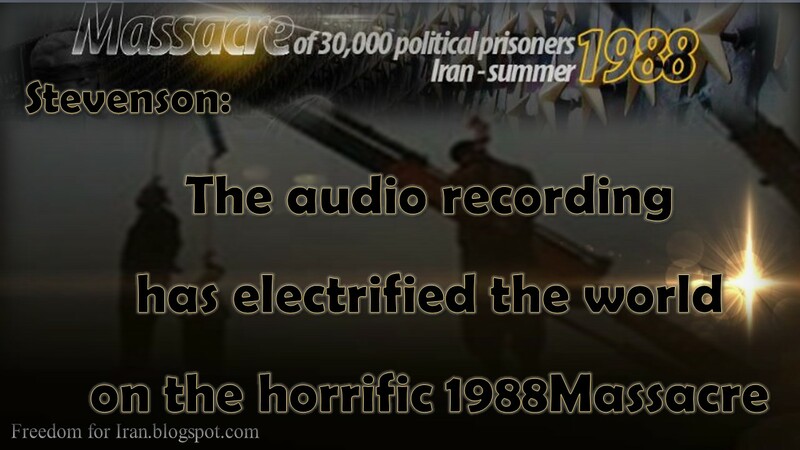 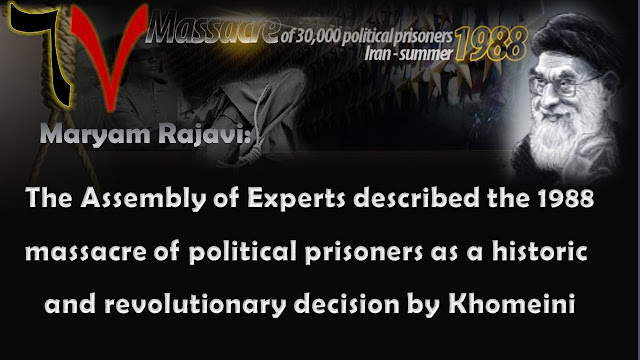 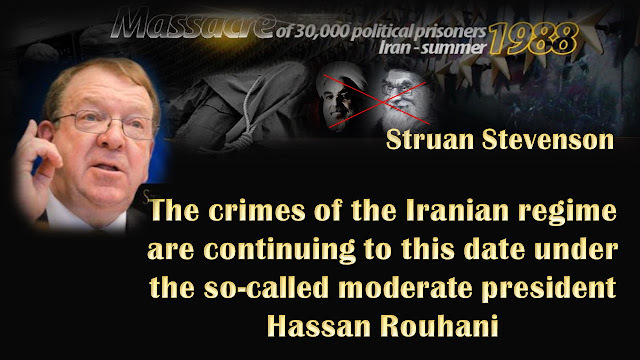 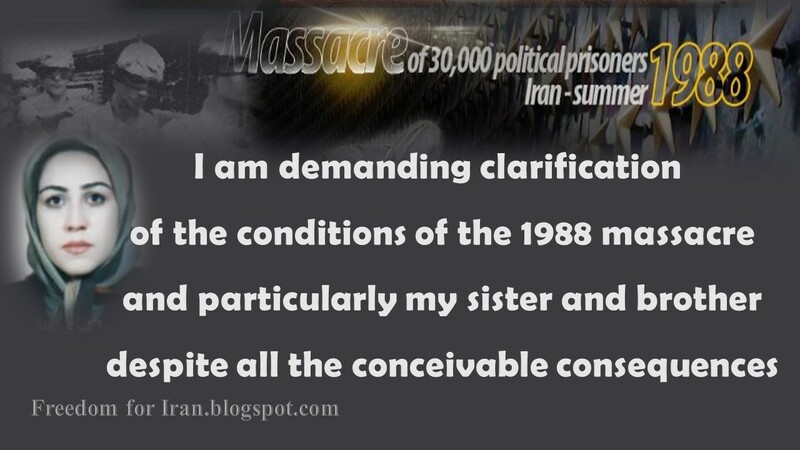 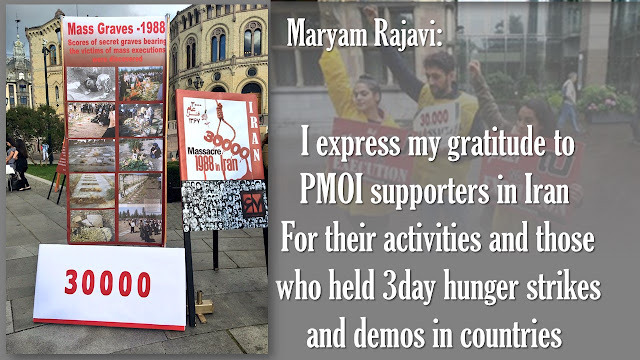 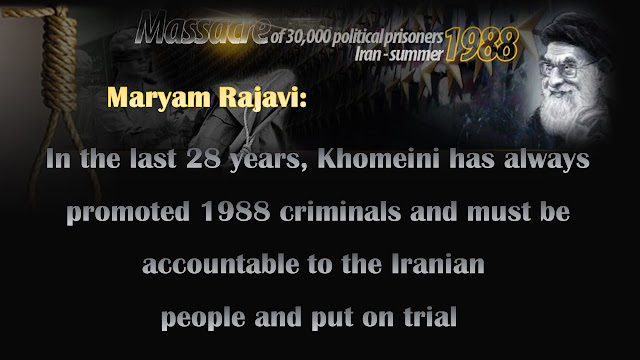 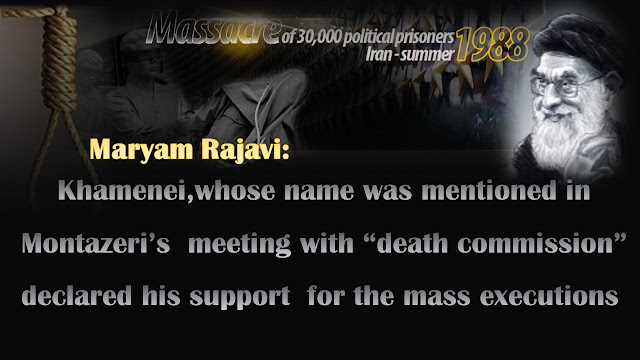 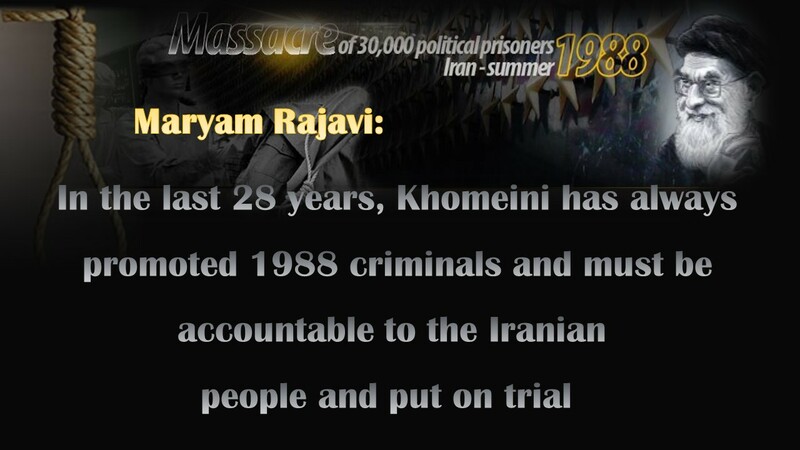 By the time it stopped in Fall, some 30,000 political prisoners, overwhelming majority of them activists of the People’s Mojahedin Organization of Iran (PMOI/MEK) were slaughtered.